What could be more fashionable than coveralls, lumberjack shirts, and steel-toed work boots? Take a walk down Hipsterville Street, Anywhere in the World, and you will find that workwear is the fashion look of choice. 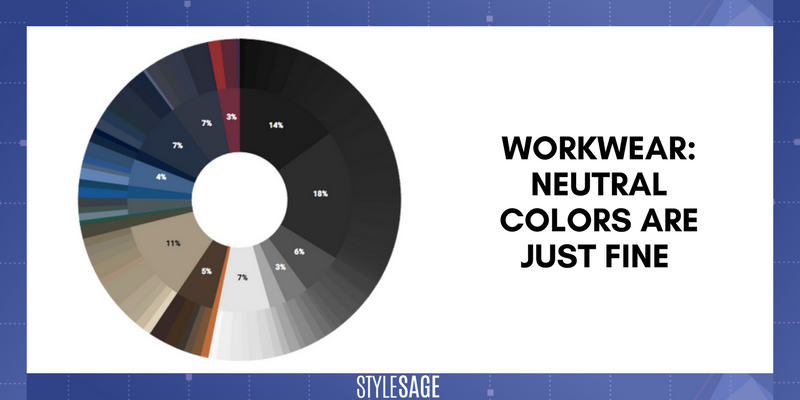 But what exactly is workwear? It's laborer’s gear, designed for durability, comfort, and safety. And it can also include things like medical scrubs and food service uniforms as well. (For the purposes of this piece we’re focusing on men’s performance workwear.) Not to be forgotten, the price point of workwear must be equitable to the hard-working class wallet. It’s not a category always clearly called out on retailer’s websites, but nevertheless, the space is chock full of brands that, for those who have been wearing it all along, are very well known. Those that have long dominated this space include Dickies, Carhartt, Timberland, Red Kap, Wolverine, Levi’s, and Wrangler. Now is this ringing a bell? And there’s serious dough to be earned in the workwear business; the global market is currently sized at roughly $30B annually. Nonetheless, when I searched Dickies yesterday, it suggested I might be looking for streetwear brand Supreme. And that suggestion is very telling indeed. So if you had to guess, where would you say workwear brands like Carhartt and Champion are stocked? If you thought Sears, JCPenney, Walmart, or Cabela’s, you would be right. Did you also guess Asos and Urban Outfitters? As the workwear trend has seeped into the millennial wardrobe, so have the retailers who cater to those shoppers reacted accordingly. In fact we’ve seen new product introductions back in August 2016 at 1% of total assortments, and fast-forwarding to today, it’s 7%. So what about the pricing and discounting in this category? Is it stable or also subject to the full barrage of promotional discounting that their stockists generally practice? Well, an interesting story emerges when you examine a key set of workwear brands including Dickies, Carhartt, Wolverine, Timberland, and Red Kap across key department store accounts in the US. The percentage of workwear on discount is 17% and the average discount off is only 5%. Compared with the benchmark of these retailers' non-workwear assortments, you have 27% on discount, with an average discount of 12%. 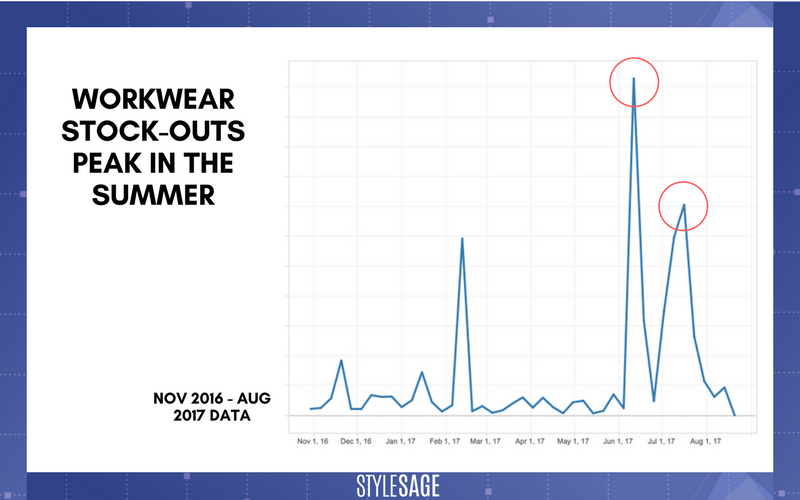 This is indicative that the workwear category is more immune to the discounting trends of the greater apparel assortment. Perhaps you caught wind last week of the news that VF Corp, owner of brands such as Nautica, North Face, Timberland, and Wrangler, decided to add Williamson-Dickie to its portfolio (Dickies is its star brand and has been around since 1918). It’s an acquisition that makes a lot of sense, as it complements a lot of the other brands in VF’s portfolio, not to mention it’s anticipated to add $1B in revenue to VF’s balance sheets by 2021. We took a look at some key workwear brands’ assortments and how they compare. 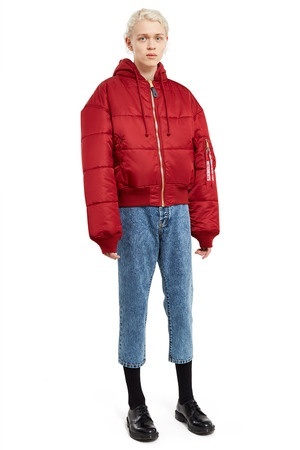 You can see that Carhartt commands a premium relative to Dickies and Red Kap, and has a more top-layer-heavy assortment relative to the others. It’s also worth mentioning that these brands gain access to consumers when they’re young; with products built to withstand even the biggest and messiest fun, workwear is the perfect proposition for value-conscious parents. We’ve talked at length about the innate functionality of workwear, so with which types of materials are these brands outfitting their hard-working wearers? 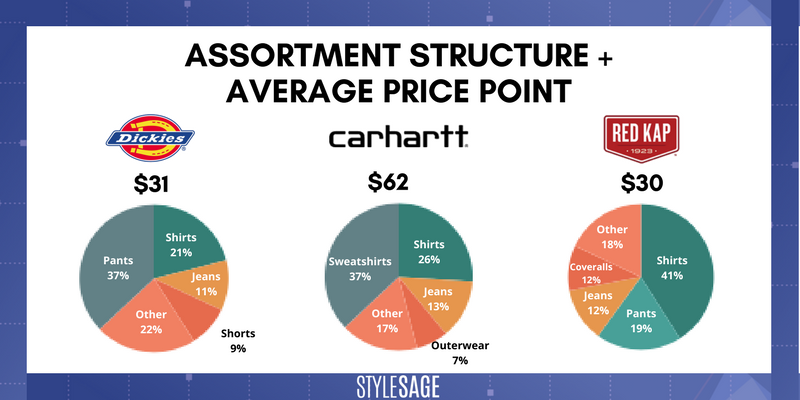 The largest percentage of their assortments are Cotton-Polyester blends (33%), which intersect at the sweet spot of low cost and performance. 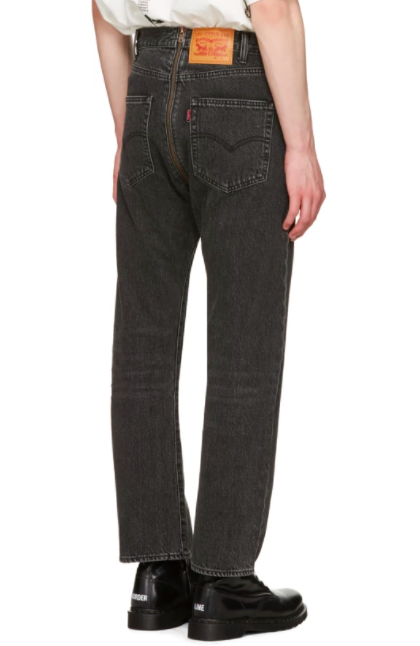 Another 20% of brands' assortments are pure cotton blends, and the next largest material composition is denim (15%). Additionally, many of the garments, especially more specialized versions, offer higher functionality like fire-resistance and water/oil repellency. So as we conclude, let’s take a look at what’s happening right now in the category. It’s back to work AND back-to-school for the workwear category, and corresponding with overall movements in the back-to-school market, we started seeing stock-outs picking up around mid-June and it has maintained momentum through the back-to-school season. Correlated with this is the discount amount; our data shows that discounting also peaked in mid-June at 21% and has since tapered off to its current levels at 5%. 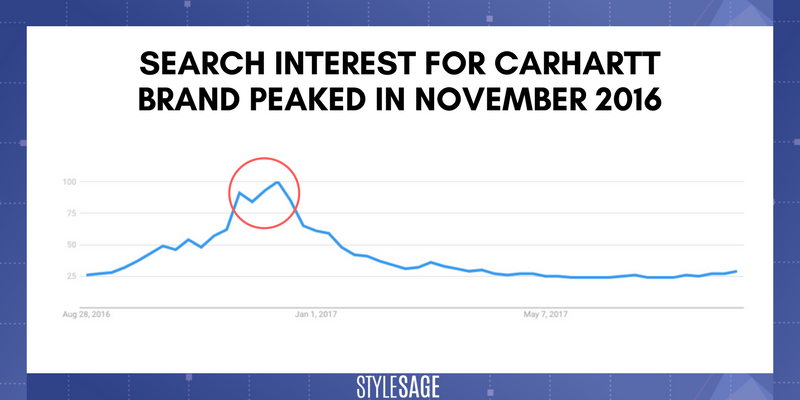 We leave you with this interesting insight from Google Trends search data; guess when search volume peaked for the brand Carhartt? In mid-November to December of last year when there was much campaign talk around bringing back more factory jobs to the US. Oh, and also apparently the brand is extremely popular in Denmark. Go figure.